Close your eyes. Dream with me again, dear maker. I want you to dream as though money were no object. What team would you build? Who would you like to have come alongside you? What support do you feel like you need to continue in your mission? In the beginning of our journey, everything seemed unclear. You were merely trying to stay financially afloat, figure out what the mission behind your dream was and do everything you could to keep yourself from jumping ship! These days, I hope your daily routine looks much different. I hope your mission is clear, your goals are set and a healthy daily routine is in place. I hope you realize how far you have come. I hope you take peace in everything you have accomplished. And I hope you are ready to hear that we are entering into a brand new phase of your journey! Let us not go alone. Today starts a brand new series. For the next few weeks, we will be discussing a very necessary, but sometimes difficult area to navigate: Community. None of us, not even the most capable of all, are meant to go alone. No matter the goal, the only way to fully attain success is to invite others in. We are all capable of working solo, sure, but why bypass the benefits of a healthy community? When you surround yourself with the right team, you are allowing your mission to grow in completeness. You can’t do everything, you know it's true. Team members make up for where you lack. They sharpen your focus, broaden your reach and bring accountability to your work. I’m not saying that building a team is an easy task by any standards, but the benefits certainly bring worth to the effort. Think of your future team as the much-needed breathing room you have been so desperate to give yourself. Draw out a section for each of your streams of revenue. This will encompass in-house sales, online sales, special events, classes, parties, commission work, holiday events... and so on. How will each of these operations need to break down? Make an intentional area in each category separating the tasks you enjoy, excel at and are weak in. Your weaker areas will be the first you hand over to your new team members. Accordingly, these areas will be the first areas you solicit help in! Practically said: Don’t hire a sales member before you hire a bookkeeper if you are the best salesman no the floor, but your invoices are past due. Looking at the tasks laid out before you, recognize that these are the responsibilities that need to be filled in order for your business to become fully functional. It is a possibility that your operation will only ever require one or two members to function. It’s also possible that you are looking at your list thinking there will never be enough people to fill your business needs even if you had all of the revenue in the world. Don’t assume too much too soon dear maker. There is always just as much peace as there is work ahead dear maker. Plus, we haven’t even talked about your organizational chart yet! 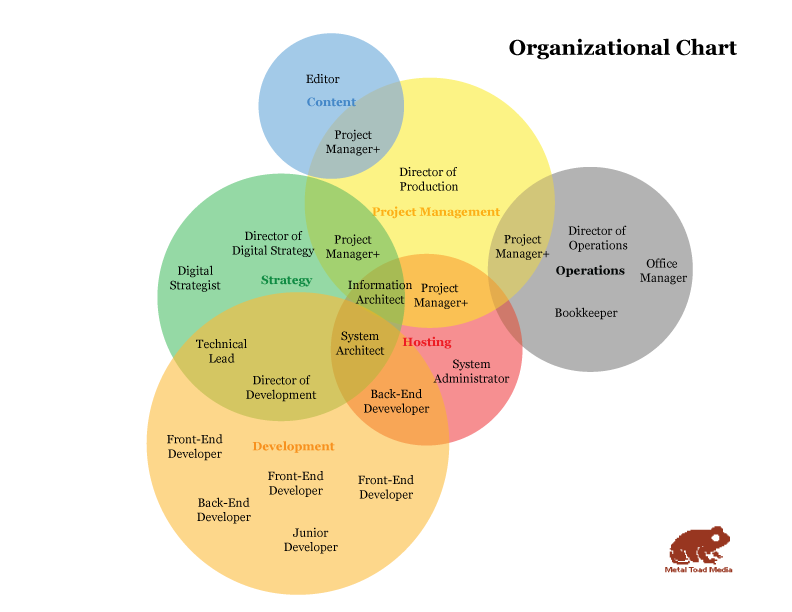 What in the world is an organizational chart? It never ceases to surprise me how many business owners have never created an organizational chart! This isn’t meant to be a shame card, but rather an object of amazement. Personally, I could not function in any of my business affairs without first assembling the proper way to function. Even if you only have one or two additional members on your team, your mission needs to have every moving part accounted for in order to properly function. Without that written accountability, the small “unnoticeable” details will begin falling through the cracks! Above are three example I found through my search for a free organizational chart template. There are literally hundreds of these easy to follow examples of how you can organize your operational tasks and the team you need to get them done! This is the week dear maker. It's your turn to get organized! As I leave you to your assignment, take heart that the organizational chart you create is the tangible evidence of accomplishment and freedom. All of your hard work has lead you to this stage. Not only will the members you hire bring peace of mind, but the freedom to enjoy the mission you have so pain-stakingly sought to comprise. Take heart dear maker. You are growing!